Please join us on Friday, October 11 at 7:30 pm as Asian Canadian Writers' Workshop member and friend Lydia Kwa launches sinuous, her newest collection of poetry at UNIT/PITT Projects (formerly the Helen Pitt Gallery), 236 East Pender Street, Vancouver. Through the mind’s eye Lydia Kwa charts the path of the stranger in a new land, the immigrant seeking escape, and transformation from the suffering of the past. 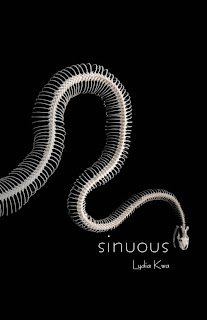 sinuous is a journey toward self-realization and acknowledges that through the fiery trials of life it is possible to find renewed strength and purpose for the future. "In this fresh suite of poems, Kwa brings great intelligence and sensitivity to bear upon the shock- absorbing process of embodiment, and troubles with integrity. Multiple trans-Pacific passages, roles of persons, and conceptions of divinity and reality, come together through Kwa’s work. Braiding poetry with prose Kwa highlights possible pathways to freedom, and to wholesome." "sinuous is a map that charts both a poetic and psychological journey, a full topographical internal map from Jomon to the culture of the 'endless, continuous onslaught of trauma' that colonialism has been for the world. It is a map of the journey from our alienation to our connection with the universe and from one another. More poignantly it bares our alienation from our personal internal world. The incredible poetry in this book will walk you into the light where you may re-connect with self and the world outside." Lydia Kwa is the author of three novels, This Place Called Absence, The Walking Boy (shortlisted for the Ethel Wilson Fiction Prize), and Pulse, as well as one previous collection of poetry, The Colours of Heroines. She lives and works in Vancouver.